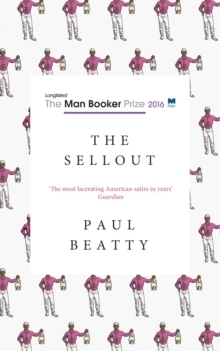 ‘Outrageous, hilarious and profound.’ Simon Schama, Financial Times ‘The longer you stare at Beatty’s pages, the smarter you’ll get.’ Guardian ‘The most badass first 100 pages of an American novel I’ve read.’ New York Times A biting satire about a young man’s isolated upbringing and the race trial that sends him to the Supreme Court, The Sellout showcases a comic genius at the top of his game. Born in Dickens on the southern outskirts of Los Angeles, the narrator of The Sellout spent his childhood as the subject in his father’s racially charged psychological studies. He is told that his father’s work will lead to a memoir that will solve their financial woes. Fuelled by despair, the narrator sets out to right this wrong with the most outrageous action conceivable: reinstating slavery and segregating the local high school, which lands him in the Supreme Court.In his trademark absurdist style, which has the uncanny ability to make readers want to both laugh and cry, The Sellout is an outrageous and outrageously entertaining indictment of our time.